Want a new look? Try our hydroseeding in Bonney Lake! Tired of that dull brown land all around your property? Did you have invasive weeds growing everywhere and decide to get rid of everything and start from scratch? Would you love to have fresh green grass all around but don’t have the time to do it yourself? Then Pacific Northwest Hydroseeding can help! 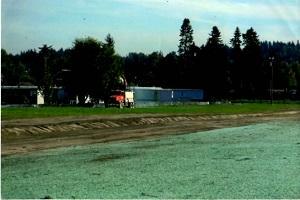 Our hydroseeding in Bonney Lake is quick, efficient, and affordable. If you own a lot of land, you won’t be able to find a better method of creating a beautiful yard. Hydroseeding is a relatively new method of seeding expansive areas of land. First used commercially in the 1950s, a hydroseeder mixes together mulch, seeds, and other assisting materials into a slurry that can then be applied through a hose. This allows for quick and even application over large areas and is a technique that is used for commercialization and recovering from deforestation and wildfires. How do I prepare for hydroseeding? While hydroseeding is an effective method of dispersing seeds, it only works properly if the land is prepared for it. Fortunately, we do what we can to make that part simple! We’ll take care of preparing the land before we hydroseed the property. This often includes screening the soil and allowing for proper water runoff. Our experienced crew creates the slurry and applies it the target area. They’re careful to only get it in the area where you want grass to grow. Once we’re through, it’s important that you follow our lawn care guide. Failing to do this can make it so the seeds don’t have the adequate nutrition that they need. 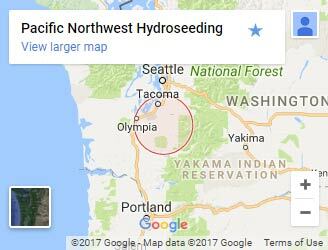 Choose Pacific Northwest Hydroseeding in Bonney Lake! We deliver high-quality results at fair prices and are the best value around!